Conservatism is the expression and preservation of individualism, individual liberty, and individual rights from the historical tendency of the state to move towards oppression and control. The fundamental principles of Individual liberty are that every man is born with equal inalienable rights, every man is equal before the law, and every man possesses individual liberty which allows for equal opportunity in life to pursue his own ambitions, free from government control and interference, and within a mutually respectful civil society (I intend to write a detailed essay on the concept of the civil society at a later date). Although every man is created equal with respect to inalienable rights and liberty, it is a fundamental human truth that all men are not created with equal circumstances. 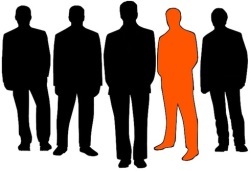 Every man is born with different unique abilities, talents, predispositions, interests, drive, and motivations, as well as infinite differences in life circumstances. To put it very simply, every man is a unique individual and is born into unique life circumstances. This simple truth explains why conservatism’s respect of the individual is so important, because it allows the individual the freedom to decide and navigate his own path based on his own unique situation. What is the smallest minority on earth? The answer to this trick question is “the individual”. As I said, each man is born unique, and will therefore have unique self-interests, ambitions, goals, and pursuits. This fact is why the inalienable individual rights of life, liberty, and the pursuit of happiness, are so important, because they acknowledge and respect that all men are free to go their own way. Every man deserves the liberty and opportunity to pursue the life they choose. Conservatism understands that all men start and face life with different circumstances, but it does not believe that free men must remain victims and prisoners of those circumstances. All men deserve equal opportunity and liberty, regardless of their circumstances, which allows them to pursue their dreams. Some may have an easier course than others, and no amount of progressive social-engineering can change that, but conservatism believes in the spirit and liberty of the individual to rise and make his own way. Progressivism however does not see it this way. Progressivism is the belief in the power of the state and collective over that of the individual. Therefore, individualism is much more than just the antithesis of progressivism, it is also a direct threat to it. Free individuals pursuing their own ambitions and self-interests, without the “help” or interference of the state, directly conflicts with the progressive notion of the collective good, and the benevolence of the state, both of which really only serve to empower said state. Progressives believe in the collective equality of outcome, as opposed to the equality of opportunity, which can therefore only be accomplished by empowering the state with social and economic control. If individuals are free and empowered, than they will pursue their own ambitions and lives without a reliance on the all-powerful false benevolence of the state. This therefore means that they will not look to the state to provide, regulate, redistribute, control, and otherwise “take care” of them. These false promises of state benevolence are always sold to the public under the guise of helping people, as well as the collective good, but in reality they only serve to empower the state and make its people subservient. Strong free individuals do not need such promises, and therefore are more inoculated to the harmful ideas of collective progressivism. So if strong free individuals are a threat to progressivism, and can weaken its ability to grow like the virus that it is, how do progressives get past this. The progressive answer to countering individualism, self-reliance, and individual interests, is to try and convince people that they absolutely need the help of the state. They must convince individuals that the deck is stacked against them, and that the only way a person can “make it” is with the help of big brother. This feat is accomplished through identity politics, and is a classic example of progressive “divide and conquer” tactics. Identity politics is the breaking down of individuals, and placing them into victimized categories or groups. If a person comes to believe that they are somehow a victim, than they are more likely to self-identify themselves as a member of that victimized group. This is nothing more than a psychological tactic to undermine an individual’s self-interests, and replace them with that of a special interest group. These victimized categories, groups, or issues may include everything from social class, jobs, race, ethnicity, age, sexual preference, and gender, just to name a few. Along with these special victimized groups, progressives will also capitalize on “key” issues important to these various groups, in order to reinforce their perceived victimization, and ensure that progressive policies are able to help them. The entire progressive tactic of social justice activism is nothing more than the convincing of people that they are victims, and therefore must be liberated from unfair social or economic conditions. The underlying and unifying factor within all these “victimized” identity groups, is progressive policy and ideology which claims to help them. 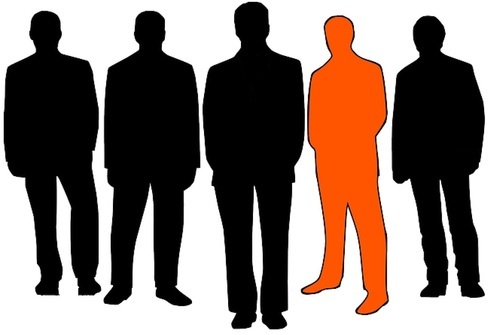 A person who is therefore convinced that they are a member of a victimized group, will often lose their individualism and replace it with that of group identity, at least in a political sense. This is a concept called de-individuation. Once a person loses that individual sense of self-interest, and replaces it with the collective interests of a victim group, they will then vote accordingly. Yet it is not enough for progressives just to label and group people, they must also fundamentally convince these groups that they are victims, and therefore can never succeed without the help of the state. Social justice activism is far more than just associating people into victim groups, but it is also about reminding those groups how oppressed they are under an individualistic free-market system and society. Progressives must constantly try to convince people and “oppressed” groups that they are total helpless victims of their life circumstances, and therefore will never be able to escape from those circumstances because the deck is stacked against them. They tell these groups that they will never be able to “make it” in society, or achieve success on their own, so they must look to the state and progressivism for help. Progressives must convince these victim groups that only progressive policies and state control can right these circumstances, and equal the playing field. If a person is constantly told that they are a victim, and that their circumstances are beyond their control, they will come to believe it. It will crush their spirit and their sense of individualism, and make them believe that nothing they do can change their condition. When progressive social warriors, community organizers, and political candidates then come to pander and demagogue to these victimized groups about how only they can help them, a broken man will buy into that propaganda. Under the false promise of collective good and equality, progressive policies only serve to empower the state and destroy individual rights and liberty. Those same “victim groups” that progressives claim are oppressed and exploited by individual rights and liberty, and therefore must be rescued by progressivism, are really nothing more than pawns to be exploited for progressive control. Another toxic aspect of progressivism’s labeling of people as victims, is that not only do people begin to internalize and believe it, which fosters feelings of hopelessness and dependence, but it also creates a sense of entitlement. This feeling of entitlement not only allows perceived victims to justify and rationalize their dependence and support from the state, but it also creates a rationalization for reparations and restitution from others in society. This sense of entitled victimization plays right into the hands of the social warrior activists fanning these flames, as well as the progressive policy makers seeking economic redistributive control. When you combine the feelings of hopelessness and entitlement created by victimization, you create more and more people who are not only comfortable with state dependence, but who also feel that it is owed to them. The progressive power elites do not care either way, because it is just more government dependent people to continue to ensure their power. In the end, individualism and liberty are a threat to the continuation and expansion of progressivism. Therefore destroying individualism is critical to the success of progressivism. One of the best ways that progressive activists and political candidates can achieve this is by convincing individuals that they are victims of various life circumstances, and therefore fall into various victim groups that only progressives can help. Individualism and freedom can be scary, but there is comfort in collective identity and enslavement by the state. Progressives use this reality to manipulate and convince people that they need the state, only to further obtain and solidify their power.